Do you have a question about cataracts, cataract surgery, or intraocular lenses (IOLs)? Charles Slonim, MD, a member of the AllAboutVision.com Editorial Advisory Board, answered the questions below. Complications From Other Conditions, Such as Stroke, Heart Problems, Glaucoma, Menopause, Etc. Dr. Charles Slonim, board-certified ophthalmologist and member of the AllAboutVision.com editorial advisory board. Q: Please tell me how I can avoid getting a cataract. And please don't say, "Die young." — L.S. A: I certainly won't tell you to die young. However, I will tell you that if you live long enough, you will, inevitably, develop an "age-related" cataract. But there are things you can do to decrease your risk of cataracts that are associated with factors other than aging. For example, there have been studies that have shown a relationship between an increased risk of cataract development and exposure to ultraviolet light and high-energy radiation such as x-rays. Cigarette smoking and tobacco chewing also may induce cataracts at an earlier age, and some cataracts may occur as side effects of long-term use of prescription medications (e.g., steroids). Cataracts also are more commonly found in patients with certain diseases or conditions, such as diabetes. And direct trauma to the eye can cause a cataract. Infants can be born with cataracts associated with maternal infections (e.g., German measles). Cataracts also can occur as a result of other eye diseases and conditions, such as uveitis. Q: I'm 26 years old, and I had cataract surgery on my left eye a month ago. My right eye is also affected by the same type of cataract, which is a posterior subcapsular cataract. Since I learned a year ago that I have cataracts, I'm searching for a possible cause. I'm a biochemist, and I'm working in research, but unfortunately, not on cataracts. However, I read a lot on this subject, but I did not find any possible causes. No diabetes, no traumatism, no drugs, no smoking, no steroids, but my father and my uncle had cataracts before 30 years old. So I want to know if you have any ideas about the cause of these cataracts. Thank you. — C.C. Q: Is it possible for cataracts to form because of trauma to the head, as opposed to eye trauma? — K.L. Q: While it's impossible to diagnose via e-mail, might it be possible that one of the symptoms of a cataract is slight double vision in the affected eye? Where can information be found about bifocal lens implants? Can an implant be replaced? (If a bifocal implant is too difficult to get used to.) Thanks in advance. — G.
A: A cataract is one of the more common causes of monocular (one-eyed) double vision. You see a double image with one eye when the cataract breaks up the incoming light rays from the viewed image, which creates at least two different images. Regarding "bifocal" intraocular lenses (IOLs), the term "bifocal" is really a misnomer here because it conjures up the image of a pair of bifocal glasses with the distance correction on the top and the correction for near vision on the bottom. This is not how the IOLs that offer both distance and near correction are designed. Therefore, these IOLs are not truly bifocal. Premium IOLs that are designed to correct vision at all distances and thereby reduce or eliminate the need for eyeglasses after cataract surgery are called presbyopia-correcting IOLs. There are two types of presbyopia-correcting IOLs: 1) multifocal IOLs; and 2) accommodating IOLs (sometimes called accommodative IOLs). Multifocal IOLs that are approved for cataract surgery performed in the United States include AcrySof IQ ReSTOR (Alcon) and Tecnis Multifocal (Abbott Medical Optics). FDA-approved accommodating IOLs include Crystalens and Trulign Toric (both from Bausch + Lomb). Multifocal IOLs are designed to offer the eye multiple focusing points within the IOL. When viewing a distant object, the brain chooses the focusing points that make that image sharply focused. When viewing a close-up object, the brain chooses the focusing points that make that near image sharply focused — hence, the term multifocal because both images are simultaneously in focus. The accommodative IOL works differently. When implanted correctly, it is able to change position forward and backward in the eye as the ciliary muscle contracts. The ciliary muscle is the muscle in the eye that previously changed the shape of the natural lens before it became a cataract and was removed. This change in the lens shape allowed us to focus on near objects. By changing position in the eye in response to action by the ciliary muscle, the accommodating IOL performs the same task the natural lens did by changing shape — it brings near objects into focus. The technical term for this is "accommodation." Your cataract surgeon will help you decide whether a multifocal IOL or an accommodating IOL is right for you, based on a number of factors — including your eye's anatomic suitability and refractive error, your near vision requirements and your personal preference. Not all patients are good candidates for presbyopia-correcting IOLs. Q: I am 77. For the past several weeks, my eyes have been watering almost non-stop. Is this a sign of cataracts? Thank you. — G.
Q. Are congenital cataracts hereditary? — K.P. Q: I am 38 years old and have just been diagnosed with subcapsular cataracts in both eyes. I have never taken steroids (the eye doctor asked me this). My mom had had cataracts for more than three years, and the doctor is not even thinking about surgery at this time. But my doctor has said that my cataracts are white (he says an unusual color), appear to be fast growing, and I will need surgery in about a year. He says my only hope is that my cataracts will progress at about the same rate so that they can be removed at the same time. I guess my questions to you are: What do white cataracts mean? Is there anything I can do — on a holistic level, aside from 100 percent UV-blocking sunglasses which I went right out to buy — to help slow down the growth? It might help to tell you that I live in the Phoenix area, where it is almost always sunny. — I.B. A: Very basically, "age-related" cataracts are a yellowish or grayish color as they develop. The clouding (or yellowing) involves the entire "nucleus" or inside of the lens of the eye. A posterior subcapsular cataract (PSC) is seen by the eye doctor as a whitish or grayish opacity on the surface of the back membrane (capsule) of the cataractous lens. Unfortunately, a PSC develops right in the center of a patient's visual axis. Therefore, even in its early stages, the PSC can be more visually debilitating than the generalized yellowing that occurs with an age-related nuclear cataract. That's why the PSCs seem to develop faster and require surgery earlier. Q: Hello, Doctor. Our son was born with cataracts and had them removed when he was 2 months old. He is now 19. He has good vision out of his right eye, but with the left he does not see very well. He has been wearing contacts for the past 19 years; he wears Silsoft aphakic +23 with a base curve of 7.90. The other day he woke up with a very painful left eye. The doctor saw that he had an ulcer on the eye. This is the fourth time he has had these, once on his good eye. The doctor indicated that he could do an implant so he would not have to wear contacts. His thought was that the thick contacts were not letting the eye breathe and were contributing to this problem and over time it would get worse. He could lose vision out of both eyes. What are your thoughts? Is this risky? Would it help his eyesight? Would it lower the risk of future ulcers? Thank you for any information that you could give us. — S.R. A: The thick, aphakic contact lenses that your son is required to wear certainly increase his risk of corneal infections. In fact, as you wrote, he has already suffered from these potentially vision-threatening conditions. When aphakic contact lens wearers start to have problems wearing their lenses, a secondary intraocular lens (IOL) implantation is an excellent alternative. This is not an option for a child, because the eye continues to grow and develop. Calculating an accurate IOL power in a developing eye is difficult. As an adult, the IOL power can be better calculated to last a lifetime. At age 19 and with his corneal infection history, your son is probably ready for an IOL. Your surgeon's suggestions sound very appropriate and timely. Q: I am trying to find out the approximate cataract surgery cost for my grandma who has no insurance. Could you guide me on this matter, please? Thanks. — S.K. A: Cataract surgery fees vary from doctor to doctor and from state to state. These fees include different components. First, there is the surgeon's fee, which can range anywhere from $1,500 to $2,500 per eye. Second, there is the facility fee, which could be a physician's office equipped to do cataract surgery or a free-standing ambulatory surgery center or the outpatient department of a hospital. Facility fees can range from $2,000 to $5,000 and higher per eye. The facility fee usually includes the cost of a non-premium (not multifocal, accommodative or astigmatic) monofocal intraocular lens implant. Q: I am having cataract surgery in about a week, so I need an answer by Monday. The doctor I am using says he can replace my lens with a monovision lens or an expensive one, about $2,500 per eye. My insurance will not pay for the more expensive one. So when I am asking for the monovision, which should I ask for: the vision to see things better up close or better far away? Originally my eyes can see close but not far away. I would like to see both, but I can't. Which do you suggest I have put in? — R.W. Q: I am a 72-year-old female with cataracts in both eyes. My optometrist tells me that they are slow-growing. As an artist who loves doing intricate detail work, I am growing increasingly frustrated that, even though I've explained that my vision is blurred, I sometimes see double and I have trouble focusing. My optometrist doesn't seem to feel that it is time to have the cataracts removed. I have astigmatism and am wondering if this can also be corrected surgically when the cataracts are removed? — A.V. Q: I have cataracts. At a recent eye exam, my doctor advised me to think about having cataract surgery. She says the cataracts are "yellow" (harder). I have decided to wait until September [three months from now] to have the surgery. She has stated that they will not get worse in that time. My question is, what is the difference if your cataracts are yellow? And is she right in telling me that they will not get worse in three or even six months? Thank you for your advice. — B.H. Q: I am due to have cataract surgery in July, and I have to go to the hospital for the surgery. I was wondering if I am doing the wrong thing, since I thought I would have laser surgery. Is it that the severity of the cataract makes the difference in the surgeries? I know when I looked on my chart it read "cataract 40+." I am a 68-year-old woman who wears glasses, and the right eye has the worse cataract. I had glaucoma surgeries on both eyes last year. Thank you. — M.H. Q: My mom is having cataract surgery. She is on 13 medications due to a heart condition. She is considered too high-risk to have the bypass surgery she needs. (Blood vessels around the heart are too thready, possibly due in part to recently diagnosed diabetes.) She isn't mentioning this to the eye surgeon until the time of her scheduled surgery. Do I have to worry too much about this? Since they aren't giving her any oral meds, is there any worry of anything they're doing counteracting with her heart meds? She's very stubborn and refuses to mention it to the surgeon. Should I be considering making a call to him myself? (I know that's up to me!) — L.
Q: I take Coumadin 3.5 mg daily, and my last INR was 3.0. Will this increase the risk of cataract surgery in any way? — J.F. A: Blood thinners increase the risk of bleeding complications associated with cataract surgery as it relates to the anesthesia that is given. Some surgeons anesthetize (numb) the eye using injections of anesthetic (e.g., Marcaine or Lidocaine), while others only use topical anesthesia (drops only). Some perform surgery using one or the other, depending on the patient. A few will still use the injections even with the patient on blood thinners. Topical anesthesia is done solely with eye drops (no needles). The eye is still capable of moving but doesn't feel anything. A retrobulbar (i.e., behind the eye) is an injection of an anesthetic placed behind the eye prior to the start of surgery. It is typically given with a 1.25 inch needle through the lower lid. This injection also anesthetizes the muscles that move the eye so the eye cannot move during the surgery. Peribulbar injections are given in two or three areas on the side of the eye with a shorter (5/8 inch) needle. Q: If you have cataracts in both eyes, do you operate on both at the same time, or separately? And how much time is there between? Thank you. — M.S. Q: I wear a hearing aid. Will I be able to wear it during cataract surgery? Also, is it wise to have both eyes done at same time? — A. A: Depending on the rules of your surgery facility, your hearing aid will probably be left in your ear. Q. What is the difference between topical and retrobulbar surgery? — C.
Q. The eye doctor just told me I have cataracts. I am terrified of surgery and needles. Is there anything else to do? I am only 47 years old. I have been sick to my stomach since I was told. Are you asleep during the surgery? I don't know know who to go to, etc. — S.M. Q. After cataract surgery, what is the typical recovery time? Can a long trip to Europe safely be taken, say, a week or two following surgery or should I wait until I return? I am a healthy 73-year-old. Thank you. — F.B. A: Travel depends on what occurs at the time of your surgery, such as possible difficulties or complications. Blurry vision can last a few days or weeks postoperatively. Your restrictions depend on your surgeon's postoperative instructions. You will need to put eye drops in your operated eye at least four times a day for two to six weeks. Some surgeons may say that you can't lift more than five to 10 pounds, while others no longer have this restriction. Q: After surgery is it common to have a black eye? — R.H.
A: This depends on the technique of anesthetizing the eye. If your surgeon uses injections of anesthetic (e.g., Novocaine) to numb the eye, then you could possibly have a hematoma (black eye) from the injection. Q: Once you have gone through cataract surgery, is the correction permanent, or can cataracts reappear? — N.S. Q: Are stitches in the eye supposed to dissolve on their own? Is it normal for a stitch to cause irritation and have to be removed a year after surgery? — A.M.
Q: My grandmother's cataract operation has gone "wrong." The surgeon has now said she will have to undergo a cornea transplant. What is your opinion of this? — S.L.J. Q: I recently had cataract surgery (one month ago) on both eyes. I am amazed at the improvement — 20/20 in both eyes, and I don't have to wear glasses for the first time in my life. I am 64. I experience what I guess are floaters that I did not see before the surgery. Is this because I just could not see them before? Will they get less noticeable, and are they anything to worry about? Just looks like sand or grit. — R.G. Q: After cataract surgery, what would cause a patient to see flashes of light in one eye, six weeks later? — R.C. Q: Once you have a cataract removed, does your eyesight restore to 20/20, or does it stay the same as before removal? Will the blinding starburst from oncoming headlights at night go away after surgery? I'm only 58 and have to drive. I've also been diabetic for 20 years. — P.B. Q: I had cataract surgery one month ago. Recently I have started to notice temporary loss of vision or decreased vision and sometimes flashes of light. My questions are: 1) Is this normal, and will it stop after a while? 2) What is the cause of these problems? 3) What would be your advice? Thanks for your time and advice. — L.
Q: Since my cataract surgery, my eyes are very light-sensitive. I wear sunglasses almost all the time, and my eyes tire easily. The surgery was just done last month. Is this a temporary condition? — R.Z. Q. I had cataract surgery about four months ago and eight months ago in the other eye. Both operations went well with no real complications. But since I work as a full-time proofreader, I started to experience eye strain in both eyes as well as greater sensitivity to the light from my desk lamp at work. It seems that most people have cataract surgery after retirement, so the kind of side effects that I seem to be experiencing are probably not very common. Have you ever heard of similar side effects, and if so, can you suggest any treatments? — J.D. Q: My mother needs to undergo cataract surgery. She is 81 years old, but I am told that before and after surgery she will require six to eight weeks of drops (several different kinds). She is incapable of putting them in, and we live far away and work. Any idea of how true this is? Thank you. — M.T. A: Depending on the surgeon and the technique, uncomplicated cataract surgery patients are usually required to use anywhere from one to three different drops after surgery. Typically, an antibiotic drop is used to prevent an infection, and a steroid drop is used to reduce postoperative inflammation. Some surgeons use a nonsteroidal anti-inflammatory drop in addition to the others. Q: I had cataract surgery six months ago and still have a vision problem. I've been taking drops (Acular) twice a day now for six months, and my vision fluctuates. — G.S. A: There are a few possible late-onset complications of cataract surgery that can affect the vision four to six months after the surgery. One of these is called cystoid macular edema. This condition occurs in susceptible patients even after uncomplicated cataract surgery. The central portion of the retinaresponsible for our sharpest vision, the macula, develops some fluid-filled (edema) cysts. A common treatment is the use of a nonsteroidal anti-inflammatory such as Acular. I am assuming this might be your presumed diagnosis because you are being treated with Acular. Your surgeon may choose to obtain a fluorescein angiography where a dye (fluorescein) is injected into a vein. Using special photography, a series of photos is taken of your retina, looking for a leak of fluid in the macula. Q: I recently had cataract surgery in both eyes, one week apart. I had spoken to other people who had the same surgery, and they said they had no problems. I went into this with the idea there would be no pain. I had an excessive amount of pain in both eyes. The doctor said my cornea was scratched and my pressure was too high after surgery. What causes pressure buildup and a scratch on the cornea? They put a lens bandage on the eye, which is now removed. Also, he said I had young people's cataracts. What does that mean? Are there different kinds of cataracts? And why can't they give you pain medication, other than OTC Tylenol for the pain? As you can see, no one wanted to give me any information. I am 67 years old and felt they should have been more forthcoming with information. Am I the only person who ever had this amount of pain? I began to think that I was at fault, somehow. My pain tolerance in the past has been excellent through many surgeries. Thank you for your answers! I am healing now, but my eyes still feel like they are full of sand. My surgeries were [11 days ago and four days ago]. They have said I may have to use these drops for a while. I see the doctor again [in five days]. My vision is excellent now, and I am truly grateful for that. I am also grateful I don't have a third eye. — R.M. A: When a surgeon reviews the risks and benefits of surgery with a patient, it is impossible to identify every possible problem that can occur. The good news is, "[your] vision is excellent." There are different types of cataracts. Some (e.g., nuclear sclerotic) are typically associated with the aging process and are slow in their development. Others (e.g., posterior subcapsular) can be seen at an earlier age or induced by certain drugs (e.g., steroids). These develop a little faster than the age-related cataract. It is easier for the surgeon to describe these as "young people's" cataracts (besides, it is more flattering to the elderly patient!). During cataract surgery, the eyelids are kept open for the entire surgery, which causes the eye to dry out. Throughout the surgery, the surgical assistant is lubricating the ocular surface (i.e., cornea and conjunctiva) with a balanced salt solution. Occasionally, a dry spot will occur. Some patients with a history of dry eyes are more prone to these dry spots after surgery. Some patients with a history of corneal irregularities (e.g., basement membrane dystrophies) are more prone to these dry spots. During the healing process after the cataract surgery, it may take these dry spots a little longer to go away. The most common symptom associated with dry spots is the feeling that someone threw sand in your eyes. Q. I've recently had cataracts removed from both eyes. Since the surgery, my vision is very bad: fuzzy, cloudy. I cannot read with reading glasses. Nor can I see distance things very well: It is difficult distinguishing people's faces, numbers on the clock, words on the TV screen, numbers on the stove control panel. My doctor told me he was implanting a lens that corrects distant vision. I cannot see close or distant. Could it be that he didn't implant the proper lens? — V.B. A. At some point after cataract surgery, your surgeon or his or her staff will "refract" you (determine a prescription) for a final pair of glasses. This prescription may change during the healing process, so your surgeon will wait until your eye stabilizes. This can take two to six weeks. The postoperative "refractive error" is calculated preoperatively when your surgeon made certain measurements to determine the power of a monofocal intraocular lens (IOL) that he or she wanted to insert into your eye. The goal is for the IOL power to give you a final refractive error as close to zero as possible. Therefore, no glasses for distance should be necessary. If you and your surgeon chose to implant a premium "presbyopia-correcting" IOL to correct both distance and near vision, then you will need to discuss your current postoperative result with your surgeon. If you had a preoperative astigmatism that was not corrected by a monofocal or presbyopia-correcting IOL, then this residual astigmatism will need to be corrected with glasses, contact lenses or refractive surgery. Some patients prefer to be a little nearsighted so they can still see near without glasses as they may have done before surgery. Other patients want monovision with their IOLs after cataract surgery. This means one eye is corrected for distance and the other for near. These options usually are discussed before surgery. Sometimes the position of the IOL in the eye can change the final refractive error that was precalculated, especially with the premium IOLs. Depending on what occurred at the time of your surgery (any difficulties or cataract surgery complications, etc. ), your final refractive error may be a little different from the surgeon's (and patient's) desired result. Your surgeon will wait for your final refraction to settle before giving you a final eyeglass prescription. Q. Before my cataract surgery, I had blurred vision when reading. I had no problem seeing at far distances. After the surgery, everything is blurred outside to about five feet. When I am standing up and looking at the floor, my vision is blurred. I can read without glasses. Is there anything that can be done to correct the new problem? My prescriptive lenses have been changed twice already. The surgeries were two and three months ago. — P.M.
Q. I just had cataract surgery and correction of astigmatism in the left eye. There is a cut in the cornea that is giving me pain and problems with vision. Do both eyes have to be done to correct the astigmatism, or is it correctable with glasses for distance? Your answer will be appreciated. — R.W. Q. I recently had cataract surgery, and now my doctor says I have swelling in the back of the eye. Is this serious? Is it something that comes from the procedure not being done correctly? — J.D. A. It sounds like you are describing cystoid macular edema (CME). There are a few possible late-onset complications of cataract surgery that can affect the vision four to six months after the surgery. One of these is CME. This condition occurs in susceptible patients even after uncomplicated cataract surgery. The central portion of the retina responsible for our sharpest vision, the macula, develops some fluid-filled (edema) cysts. Q: I had a cataract removed two weeks ago. I had an IOL replacement. My prescription was +2.50 before the operation, and I'm now at + 4.50 after the operation. I still cannot see the big E on the eye chart. My eyesight is worse than ever, and I'm severely farsighted. Is this a permanent situation? I did have RK in this eye 20 years ago. Did my doctor miscalculate the power of the IOL? Can I fix this? — A. A: The calculation that determines the power of the intraocular lens (IOL) is dependent on two measurements that are made prior to the cataract surgery. The first measurement is the axial length, which is measured by an ultrasound instrument. The axial length is the length of the eye measured from the center of the cornea to the retina inside the eye. The second measurement is the keratometry reading. Keratometry readings measure the horizontal and vertical curvatures of the front surface of the cornea. These two measurements (i.e., axial length and keratometry readings) are then entered into a sophisticated mathematical equation (via a computer program), and the IOL power is calculated. The mathematical equation is based on the measurements of hundreds of thousands of "normal" corneal curvatures and "normal" axial lengths. The IOL power calculation of an eye that is unusually long (highly nearsighted) or unusually short (extremely farsighted) does not have the same accuracy as for an eye of normal length. Likewise, the IOL power calculation of an eye that has had corneal surgery (e.g., RK or LASIK) does not have the same accuracy as for an eye with a relatively normal-shaped cornea. In other words, your measurements were probably correct, but your previous RK created a problem with the IOL power calculation. Q: After having cataract surgery and lens replacement, if the wrong prescription of lenses is used, can they be removed and switched with a more appropriate strength? How risky a procedure would that be? A prompt reply would be very much appreciated. Thank you for your time. — G.
Q: I had cataract surgery two and a half weeks ago in my left eye. About four days ago I woke up to double vision. After about an hour or two the double vision clears up for distance but never goes away for anything I need to read. I have to close one eye to stop the double vision. It doesn't make any difference if I have my glasses on or off. When I eat the food on my plate, it is distorted. My eye is still quite red and burns when I put the drops in it. The nurse in the doctor's office said to wait out the five weeks to see if it changes. By the way, I am writing this with one eye closed. Also, is it normal to see everything at a distance clear, but anything close a complete blur? Thank you. — D.C.
Q: I had cataract surgery on both eyes, and now my vision is getting worse after less than a year. It seems to be getting cloudy again, and I don't see nearly as clear as I did when I initially had my surgery. A procedure called a YAG laser capsulotomy can quickly restore vision following posterior capsular opacification. What should I do at this point? Any help is greatly appreciated. I am a 65-year-old female. — C.S. A: You may have a clouding of your posterior capsule, which will require a YAG laser capsulotomy (opening of the capsule). 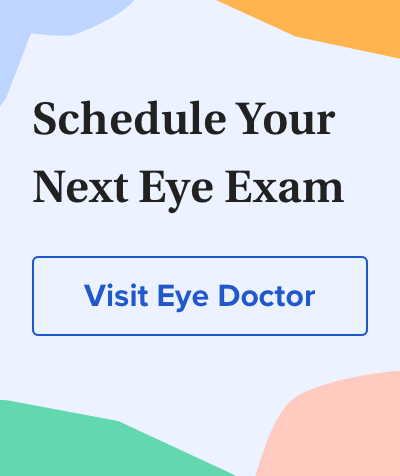 You may also have had a natural change in the refractive error of your eye and may require a small prescription or glasses to restore your vision. You may have developed cystoid macular edema (i.e., a swelling in the retina). Q. Should I have cataract surgery? I'm being treated for iritis and am down to one drop of Pred Forte a day. One morning I forgot the drop, and my eye turned a bit pink. I'm wondering if I should cancel the surgery or not. — L.A.
Q. My mother is in need of cataract surgery. However, her doctor said that since she has a congestive heart condition (even though it's under control with medicine), the procedure can't be done without permission from my mother's cardiologist. The eye surgeon said there would be danger of my mother having a heart attack and dying during the operation. This is scaring my mother and her children. Any comments? — P.K. Q: My father is having cataract surgery in the morning. He had his first one done in 2001 and two weeks later suffered a thrombotic stroke, which left him with left hemiparesis. He has been on Plavix since 2001 and was told to continue taking it for this surgery. Is he at risk of another stroke, and what is the risk of hemorrhage related to the Plavix? — C.
Q: My mom has been lasered for wet macular degeneration. She now has cataracts. Is it possible for her to have her cataracts removed under these conditions? — M.L. Q: I have glaucoma and a cataract. Will I have good results? — A.P. Q: I am 67, overweight, and a diabetic. My glucose level is controlled by drugs, and my high blood pressure is controlled by drug. I am told by the optometrist that I have cataracts in both eyes. He says stronger glasses won't help me distinguish faces better or read road signs. If I decide to have the cataracts removed, will I be able to see well enough to go home after surgery? Is the surgery performed in a hospital? Given my medical condition, is there any reason not to proceed with this surgery? Finally, just the thought of cutting into my eye makes me very nervous and squeamish. Is this a common feeling, do you think? Thanks. — J.B.
A: Cataract surgery is one of the most successful of all types of surgeries. Assuming that you do not have any other ocular problems (e.g., diabetic retinopathy, macular degeneration, etc. ), cataract surgery should restore the vision loss that is directly associated with your cataract. Cataract surgery is performed as an outpatient in a free-standing ambulatory surgery center, doctor's office surgicenter or hospital outpatient department. You should be able to go directly home after surgery, although you will not be allowed to drive yourself home. Depending on the surgeon and the technique, you may leave the surgery facility with a patch and a plastic shield over the operated eye or possibly just the clear plastic shield. Q: Are there any other options besides surgery to cure cataracts, such as laser? Thank you. — E.R. Q. Is there any new treatment? Is it always necessary to have surgery? — E.W. Q. I had cataract surgery on my right eye in 1997 before some of the new lenses were approved. I'm now facing cataract surgery for the left eye. Am I a candidate for Crystalens for the left eye? I would like to improve my near vision. — C.P. A: The Crystalens belongs to the class of premium presbyopia-correcting IOLs. It is the only accommodative IOL that is designed to change its position in the eye as the ciliary muscle changes during the act of focusing on a near object. When implanted correctly, the Crystalens can change position forward or backward in the eye as the ciliary muscle contracts. The ciliary muscle is the muscle in the eye that would change the shape of our natural lens before it became a cataract. This allowed us to focus on near objects. Not all patients are good candidates for these IOLs. There are other presbyopia-correcting intraocular lenses such as multifocal IOLs that are currently available. Your surgeon determines the choice of which IOL design to use, such as multifocal or accommodative, based on a number of factors including your eye's anatomic suitability and refractive error, your reading requirements and your personal preference. A small percentage of patients do not do well with a presbyopia-correcting IOL in only one eye. Therefore, some surgeons choose not to implant these IOLs in only one eye. Other patients have no problems with a monocular presbyopia-correcting IOL. Another option is monovision where, after cataract surgery, one eye is corrected for distance and the other eye is corrected for near vision. Your surgeon can try to determine if you are a good candidate for monovision by temporarily placing a contact lens with a reading power over your eye with the cataract to see how you do. Q. I am 61 years old and have been wearing multifocal spectacles for some years but find it difficult to read now, and my eyes get tired frequently. I have a mild case of cataract in one eye, and my doctor recommends an intraocular implant. I've been reading up about the various multifocal lenses on the web, but I'm not sure which is the best for me. If cost is no object, which lens do you recommend? Thank you for your time. — T.S. A. Currently there are a number of FDA-approved presbyopia-correcting intraocular lenses (IOLs). Tens of thousands of cataract patients have had these "premium" IOLs implanted, which gives them both distance and near vision without glasses. Your surgeon chooses which IOL design to use (multifocal or accommodative) based on a number of factors including your eye's anatomic suitability and refractive error, your reading requirements and your personal preference. Not all patients are good candidates for these types of IOLs. Q: I have been diagnosed with a cataract in my left eye that requires a replacement lens. My right eye also has a cataract, but not requiring lens replacement right now. (It will in the foreseeable future.) I am a 54-year-old male, married, no other medical problems, and still very active (10- and 12-year-old boys to keep up with). My question concerns the type of lens that I should choose. I know there is a choice of a single vision IOL or presbyopia-correcting IOLs (Crystalens, Tecnis and ReSTOR). Can you review the pluses /minuses of the different IOLs and under what circumstances I should choose one type or brand of IOL over another? — E.D. A: All of the "premium" presbyopia-correcting IOLs that you mentioned (and others) have undergone extensive clinical studies in order to obtain FDA approval. The main advantage of the premium IOLs is the opportunity to see both near and far without glasses. Most cataract surgeons who implant these IOLs will prefer one design more than the others and will receive extra training prior to implanting them. The cataract extraction surgery itself will be the same. Tens of thousands of cataract patients have had these premium IOLs implanted, which gives them both distance and near vision without glasses. The choice of which IOL design to use, such as multifocal or accommodative, is determined by the surgeon based on a number of factors including the eye's anatomic suitability, refractive error reading requirements of the patient and patient desires. Not all patients are good candidates for these types of IOLs. Q: I've heard both "good and bad news" about the latest type of IOLs being used in cataract surgery. The good news is, they correct for both distance and reading, eliminating the need for glasses. On the negative side, I've heard they can produce a glare that interferes with good vision and sometimes need to be replaced after the initial surgery. What is your opinion about these newer lenses, and do they work as well on patients with astigmatism? — H.S. A: All of these IOLs have undergone extensive clinical studies in order to obtain FDA approval. The main advantage of the premium presbyopia-correcting IOLs is the opportunity to see both near and far without glasses. Tens of thousands of these lenses have been successfully implanted into cataract patients, which allows them to see both distance and near vision without glasses. Not all patients are good candidates for these IOLs. The choice of which IOL design to use (multifocal or accommodative) is determined by the surgeon based on a number of factors including the eye's anatomic suitability, refractive error, reading requirements of the patient and patient desires. Even under the most ideal cataract surgery procedures, a small percentage of patients can have the postoperative glare that you described. For them, a technically successful surgery results in an unhappy postoperative visual outcome. Q: I am a volunteer in Dallas. I work with a low-income woman with no family. She is going to have cataract surgery on her "good eye" in a couple weeks but insists on having her lens removed and not replaced with an artificial one. She wants to wear the old thick glasses afterwards. She has no vision in her other eye, and I'm not exactly sure why. She is worried because her mother had some problem with her cataract surgery 25 years ago, had a stroke rather soon after the operation and later died. I can't imagine there was any connection, but could you give me some "expert" advice to pass along that might convince her to have the "modern" surgery? I think she is just very afraid of negative consequences. — A.L. Q: If you have cataracts, can you have LASIK surgery for nearsightedness? — P.L. Q: I am a 75-year-old with cataracts in both eyes. I have always been nearsighted and have some astigmatism. I can read fine up close by taking off my glasses; in fact, it's easier to read with my glasses off. I also have early-stage macular degeneration. I am trying to decide whether I should choose a lens with it focused for near vision, which would be the type of vision I have had for years, or whether to choose a lens focused for distance vision. They say it's my choice, and I'm not sure what to do. My main problem now is that glare bothers me, especially driving at night. My reading vision is getting a little blurry, and my doctor said this could be the computer and not the cataracts. Your opinion would be appreciated. — B.S. A: Unfortunately, I agree with your surgeon: The choice is up to you. Having never worn glasses for distance but only readers for near, I can't imagine not having clear vision in the distance. You, obviously, have the opposite opinion. By the way, distance vision is used much more than reading or near vision in a normal daily life. Q. I am writing in reference to patients who have had cataract surgery and are being referred to our facility for an MRI. Are there any contraindications for these patients to have an MRI (any body part)? Are they OK immediately, or do they need to wait six to eight weeks? Please write back with any advice to help clarify this situation. We definitely want to follow a professional opinion and keep our patient safety up to date. Thank you in advance. — D.M. Q. Can you go blind if you don't remove cataracts? — S.
Q. I developed a cataract about seven weeks ago, and it is now ready to be removed. Why did it develop so fast? I am 59 and female. I had a bad accident to my eye when I was about 8 years old. Is there any connection? — H.S. A. Trauma can cause a cataract that can be rapidly progressive. If a traumatic cataract occurred at the time of your injury 50 years ago, I doubt it is associated with your current "rapidly progressive" cataract. Q. At my check-up with an optometrist I found out I have "early cataracts." She said it's not a problem until I have some symptoms. I am 56 years old. Should I go to an ophthalmologist to get another opinion? The optometrist said to take six to ten mg of lutein. My vitamin packet has a small amount. I take lots of antioxidants. Thank you. — S.
Q. My mom has a very deep cataract, and the doctor wants to have a retina surgeon on standby when doing her cataract surgery in the event that the retina falls away into gel. If this should happen, she has been told she would have to return to the hospital the following day to have retinal surgery. Can you please expand our information on this occurrence? Thanks in advance. I should mention that my mom is 88. — K.